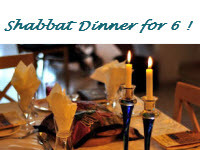 Want to share a special Shabbat dinner with fellow Beth Mordecai members? Sign up for Shabbat Across Beth Mordecai! It’s easy, just fill out the form below and we’ll tell you where you’re going by Wednesday, November 16th.